There is an old adage in business that says, “It takes money to make money”. While this is true of almost all brick and mortar business ventures, it does not hold true for creating your own online store in today’s marketplace. There are many options available for the aspiring entrepreneur to build an online store without spending any money at all. 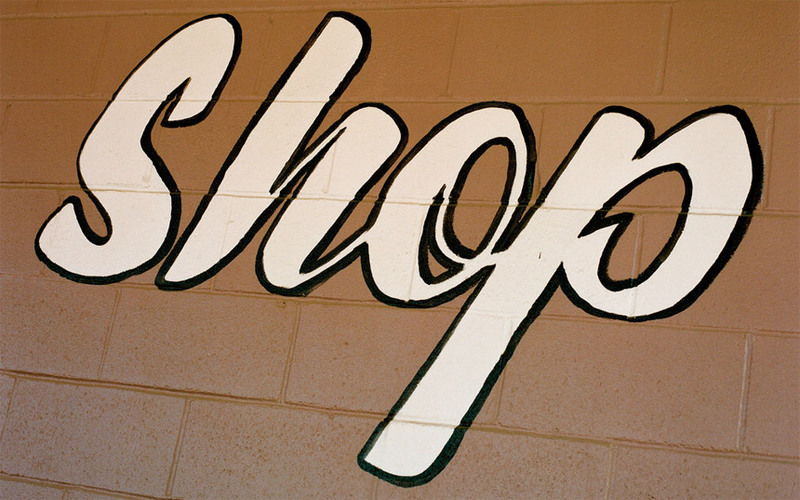 When is it time to considering creating your own online store? Creating an online presence for your business should be done based solely on customer demand. You are either wanting to start an online store as a means of creating a new business or you want to promote an existing business you already have in a different way. Either way, your customers will drive the success or failure of your online store. If you are starting a new business, your goal should be to bring to market a product or series of products that solve problems. You should ask yourself why your customers truly need your product and write down the answer to that question. This is the same logic you will use to sell your product to your customers. Once your customers realize the need they have for your product, you’ll find that they will also open their wallets in the form of pre-orders to help you bring the products to them. The key to funding an online store without spending any of your own money is getting these commitments from your customers. If you already have an existing business that you are looking to bring online, then you’ll find this easier than you think. In this case, the customers already realize the need for your products. Your customers always want an improved shopping experience, and bringing them a more convenient way to purchase your products they are already spending money on will boost your overall sales and bottom line. I’m ready to begin promoting my products online, but I don’t know where to start. There are a number of ways to create your first online store. Some of the most popular online marketplaces such as Amazon and eBay make it easy to get started uploading and selling your products. Unfortunately, they also charge commission rates, listing fees, and other fees that make it impractical for the store owner on a budget to be able to compete. If you are looking to create an online store without spending any money, you should try an online marketplace that will allow you to start small for free and grow into a large seller account. At Jooy.com, we have a tiered pricing structure that lets you enter the market with no initial investment. You can list up to five products in your store absolutely free. Not only that, but we’ve taken all of the complications out that come with buying your own domain name, setting up a server, and all the other technological hurdles that keep small businesses from being able to sell online. It’s as simple as signing up, listing your products, and collecting your orders. What’s great about getting an online store through us is that your store can grow in features as your business grows. As your store grows to need more features such as additional products, product images, or a custom domain name, we have options that allow you to upgrade without having to start from scratch. Once your store has reached the point where you are ready to make the jump to a paid service, it will essentially pay for itself using the money that you’ve already made from selling on Jooy. But I have a ton of products I want to bring to market. Is there any way I can do that without an initial investment? Absolutely. The key is to start small. Even if your business is already established in the brick and mortar marketplace, you should handpick a small number of products from your product line to bring online at first. It’s much easier to tackle the learning curve of creating an online store when you have less products to manage. Once you are making a sizable profit from your “cream of the crop”, then you can bring your other products online to expand your offerings and give customers a reason to keep coming back to see what’s new at your online store. Some of the largest Fortune 500 companies started from very modest beginnings. Apple started in the garage of Steve Wozniack and grew into the giant it is today. Michael Dell started a computer company in his dorm room that grew into an 80 million dollar business in just three years. The best example of small start success is probably Mattel toys. Ruth and Elliot Handler started a home business making picture frames in their garage. They had no money to invest in their business and every little bit counted. They expanded their product line as they grew to offer small dollhouse furniture made from the scraps left over after making their picture frames. This began the toy franchise that quickly overshadowed their picture frame market and grew their company into a multibillion dollar enterprise. If they had tried to scale up their picture frame business too soon, they would have never seen the success they enjoy today. I don’t have any products yet. How can I get started selling online? The first thing you need to do is to find or create a demand for your products before you ever begin trying to sell or even manufacture them. Look closely at your own life. Keep a list of problems you face or annoyances you encounter on a daily basis. Then, simply find a way to solve them. Odds are, if you are solving a problem in your life it will likely benefit others as well. Once you establish a need for a product and come up with a solution to fill it, then you need to develop a customer base. Ask yourself what type of people would benefit from owning your product. After you determine who it is you are selling to, then you are ready to pitch the idea to them. Go to where they are, whether that means your local supermarket, online forums, social networks, or your neighbor down the street. Let them know about your products and show them how they can purchase them online. Your hard work will pay off in the form of profits and compounded returns. As your business grows, your customers will help spread the word for you. This will bring you new sales and increased interest in your online store. As your profits increase, be sure to re-invest a portion of the money back into your business to grow your online store and advertise your products. The process of creating your own online store without spending any money doesn’t have to be complicated or difficult. Here at Jooy, you are allowed to start small for free, making an online marketplace within the grasp of the entrepreneur on a tight budget. The most important thing you can do is to act. The only way to guarantee that your online store will fail is to never create it. Hard work and diligence will pay off over time. Who knows? Perhaps you will be the next to reach the Fortune 500 list. Let’s create your online store now.